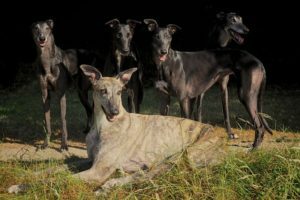 A young black female greyhound was found by a dog walker, lying in a blood soaked blanket on waste-ground in the village of Iron Acton near Bristol. She had been brutally tortured and mutilated. Her ears had been cut off to prevent her from being identified from her tattoos. She was heavily pregnant with six unborn puppies inside her. Despite extensive inquiries and mass leafleting, the person(s) responsible for her torture and murder and of her six puppies, have never been found and brought to justice for this despicable crime. This portrait was created by the artist Thomasz Adamski (http://www.facebook.com/thomasadamski8) in memory of this sentient being, his impression of what she would have looked like, had she been given the chance of a happy contented life. 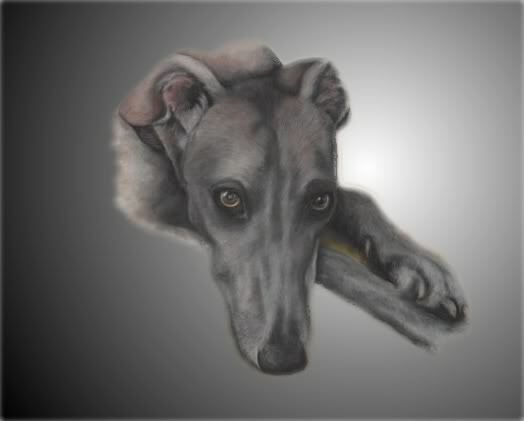 Please spare a thought today for Valentina and her dear puppies and for all the greyhounds who have been used, abused, exploited, tortured and killed in the name of greyhound racing. Please see the our ‘How you can help’ section for more details and contact AFG if you would like some of our awareness leaflets for distribution or display. Please help with the WWW (Winning Words in the Workplace) campaign.